Java : JRE 1.4.2 and above. Screen resolution : at least 1024x768, Minimum configuration : Intel P2 500, 128MB RAM and equivalents. The main goal of this project is to provide a fully-featured application to advanced users with large or scattered music collections. 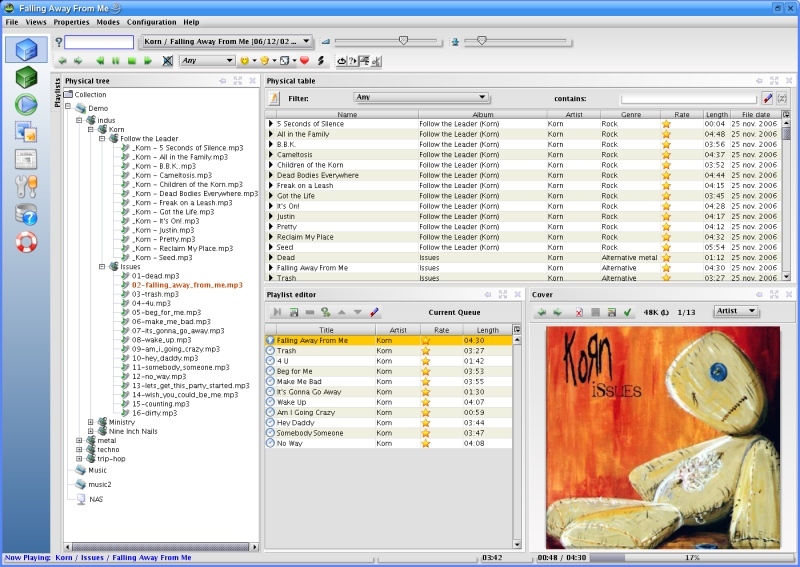 Jajuk supports MP3, OGG Vorbis, AU, AIFF, WAV and SPEEX audio formats.